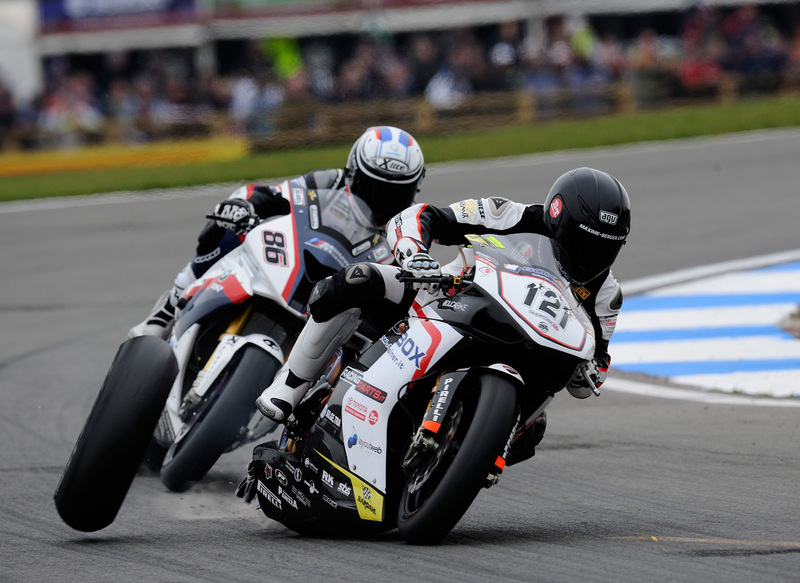 WSBK: Liberty Racing to Miss Moscow Round? The financial woes of Liberty Racing seemingly continue, as the World Superbike team is absent from the entry list for the upcoming WSBK round in Moscow, Russia. It is being reported that all three of Liberty’s riders are missing on the entry list, as well as Team Grillini’s Norino Brignola. It is not clear at this time why the four riders are not entered in this weekend’s race, though since it is the first time World Superbike has run at Moscow, one cannot rule out logistical issues. However, considering the type of season Liberty Racing has had this year, not to mention the rumors of the team’s financial difficulties, the non-entry at Moscow could signal a much bigger problem. After the debacle of a round at Monza, the Effenbert-Liberty Racing Team had some choice words regarding how the World Superbike Championship was being handled last weekend. Surely having something to do with the fact that Effenbert racer Sylvain Guintoli qualified on the pole position, the Czech squad had to watch as the French rider’s bike died on the sighting lap for Race 2. Gaining momentum from its win at Assen, the guys at Effenbert-Liberty Racing were surely frustrated by the events in Italy, though things have seemingly escalated from there. First stating that the team would only minimally participate at the Donington Park round, i.e. not bring a full hospitality service, and would reconsider its involvement in the rest of the WSBK season, the words from the Ducati squad have cooled to some degree, but continue to be rather ominous. With Infront Sports & Media, the rights holder to World Superbike, publicly saying it has deferred the matter to its legal council, Liberty Racing released another statement, noticeably absent of its title sponsor’s name, that confirmed its previous statements about Donington Park. Troy Corser will miss the next Word Superbike round at Brno after surgery to repair injuries he sustained this past weekend while racing in Spain. The former world champion, already suffering a cracked rib, crashed in the second race at Motorland Aragon in a collision with Maxime Berger. He sustained a broken ulna and radius, injuries that were suspected after examinations at the circuit. Corser explained, “I braked late at the end of the back straight and passed two other riders but I overshot the corner and turned in late. I saw Maxime Berger coming. I could see that his rear wheel was off the ground when he was braking and he just went straight into me.” He continued, “I am not blaming him. It was just unlucky.” The incident occurred on the first lap of Aragon Race 2, after Corser finished Race 1 in tenth position.